Geneva - The escalating suppression of journalists and press organizations in Algeria with a lack of judicial monitoring is highly alarming, says the Euro-Mediterranean Human Rights Monitor. In the past few months, the country has witnessed a dramatic increase in restrictions on freedom of the press and freedom of expression. Most recently, Tout sur l’Algerie news website has been blocked throughout Algeria and the Al-Fajr Newspaper was deprived of state-funded publications. During the past few days, state-funded advertising of the Al-Fajr newspaper had been completely cut off, apparently for political reasons. In protest of this action, Hadda Hazem, the Director of the Newspaper, declared an open hunger strike. In a phone call with Miss Hazem, the Euro-Med team learned that she had made a commentary on France 24 TV Channel, which might have upset the government. During the commentary, Hazem had questioned the decisions made while the Algerian president was sick. By suspending state-funded advertising of the newspaper, the authorities triggered Hazem’s strike. The action has had an overwhelming impact, with the newspaper unable to pay the salaries of its 60 employees and journalists. "I contacted the President and the Prime Minister, but I did not receive a response and then declared an open hunger strike to lift punitive measures against the newspaper, which is currently in a major financial crisis," said Hazem. Hazem further said she ended her hunger strike after 8 days, in response to the doctor's request because she has been suffering from chronic diseases such as diabetes. The Algerian authorities continued their punitive measures against the newspaper nonetheless, she added. Hazem has further stressed that these punitive measures are taken because of the newspaper’s opposing policy. Al-Fajr Newspaper had previously experienced several similar crises. Following Hazem’s opposition of the candidacy of President Abdelaziz Bouteflika for a second term in 2004, the newspaper was deprived of state-funded advertisement for 18 months. The Algerian press has suffered in recent years from the decline of public state-funded advertisement in light of the monopoly of the advertisement market by state authorities, while private sector ads go to the best-selling newspapers in the country. This resulted in about 60 newspapers out of the market over the past three years. The state's subsidies for newspapers’ advertisement fell by 65% ​​between 2015 and 2016 due to the decline in oil prices, according to statements by the former Minister of Communication Hamid Grine. However, some Algerian local sources confirmed that the authorities have been exercising such policy to reward loyalists and punish opponents, which also caused the closure of the Al-Atlas as well as the Al-Watan TV channels because of their opposition to state's authorities. Tout sur ‘Algerie News Website has been blocked since October 5, by the Algerian telecommunications company, the sole provider of the Internet, without any clarification. These practices constitute an unjustifiable violation of the freedom of opinion and expression, guaranteed by the Algerian Constitution as well as international laws and conventions. "The increasing violations against journalists in direct and indirect ways is an intolerable practice by the government in Algeria," says Ihsan Adel, Euro-Med Monitor’s legal advisor. International conventions also guarantee the right to access, transfer, exchange, publish and issue newspapers without restrictions, harassment, or censorship, Adel adds. While Algeria is a party to the International Covenant on Civil and Political Rights since 1989, government practices on the ground have so far proved a lack of commitment to the obligations of this convention. Article 19 of the International Covenant on Civil and Political Rights specifically guarantees the right to freedom of opinion and expression and prohibits restrictions against the media. 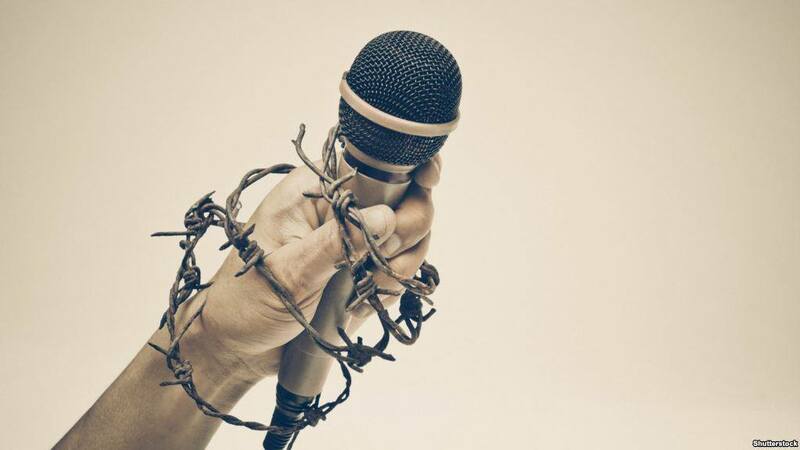 The Euro-Mediterranean Human Rights Monitor calls on the Algerian authorities to respect and implement international obligations and laws related to human rights by facilitating the work of journalists and ensuring an environment free from restrictions or harassment without discrimination. The Euro-Med further calls for for a new law regulating the advertising market based on transparent criteria and a clear and unbiased competition.